Do you wish your Shopify eCommerce site had more sales from free organic traffic? 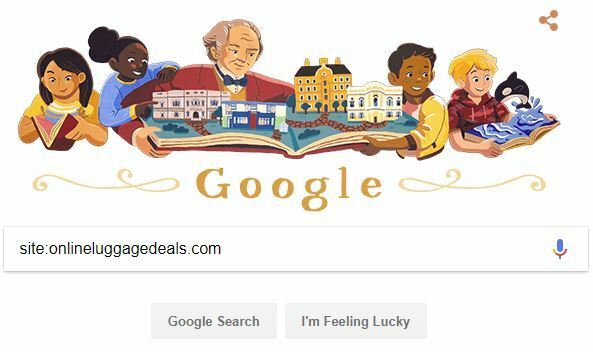 I think we all wish Google would show our eCommerce site more love. Every time I come home I wave at Rick and he just looks away or walks inside. Like Rick, I thought Google was giving me the cold shoulder. Maybe I did something to offend the search engine giant. The truth is, unlike Rick, I just hadn’t given Google a good reason to notice me. 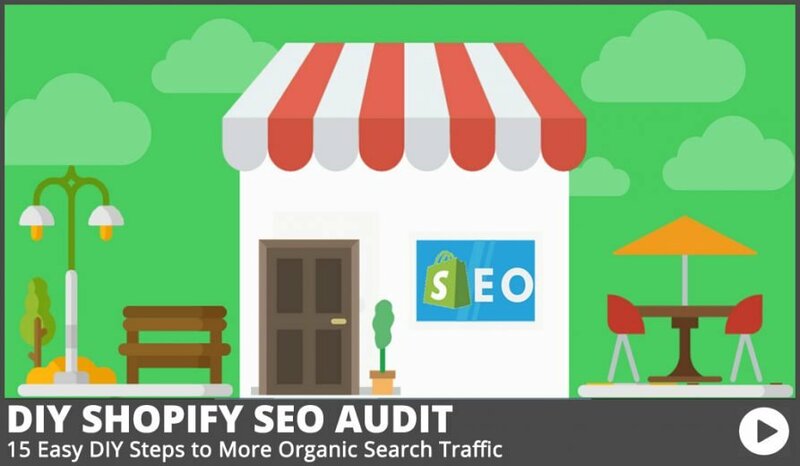 In this article, I’ll give you 15 easy to follow steps so you can complete your own DIY Shopify SEO Audit. Completing this audit will give you a great start on your Shopify SEO so you can be sure Google will take notice. Believe me, when Google does notice you, your eCommerce business can change for the better very quickly. So if your name’s not Rick, keep reading! Before we jump into the steps, I’m making a few assumptions. You have already setup a search console account and submitted your site’s sitemap for indexing. Your site is at least a month old and has had time to index your pages. If these assumptions are accurate in your case, continue reading and get ready for more traffic! Before you can begin to get traffic from search engines such as Google, you need to be certain you’re not stuck in the Rick Zone. Think of the Rick Zone like the friend zone for dating, only completely unfriendly.You need to get search engines to notice your Shopify site before you can warm them up to becoming a friendly neighbor. In search engine terms, this means you need to be indexed so you can show up in search results.Each page on your site that you would like to be found in search results should show up in Google’s site index. Knowing this, your first step is to see if your pages ARE indexed and if so, which ones. Using the “Site:” modifier, search Google for your domain and see what pages have already been indexed for your site. This search will quickly tell you how many pages Google has indexed for your site and which pages those are. Pay special attention to the number of results near the top of the page. Does this number look about right, or is it way too high or way too low? If the number of pages indexed seems about right to you, you’re in great shape and you can move on to the next step! If you’re not sure about this number, there are a few things you can do to narrow down where problems might exist. Narrow your search by adding the following strings to the back of your domain. Using the search strings provided, you can easily check pages, collections, blog posts, and products to see what pages are currently indexed by type. Now before you ask, this exercise has nothing to do with WHERE you rank in search engines or for what keywords. This simple tells you if you’re in the “Rick Zone”, or if Google is at least giving you the head nod to acknowledge you exist. That’s all there is for step 1, so if you’re ready to move on, it’s time to tackle step 2. 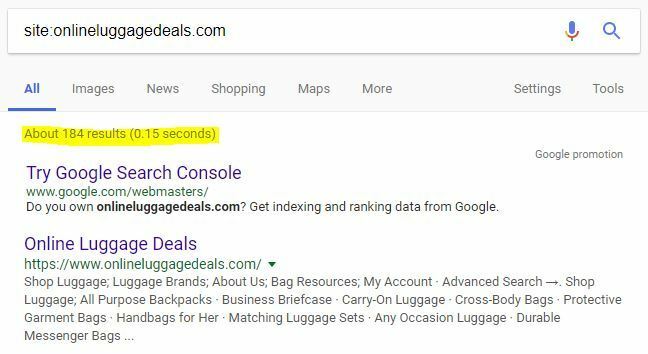 In step 1, you discovered which pages on your Shopify eCommerce site were already being indexed by Google’s search engine. Now you should spend a few minutes making sure that any pages adding zero value to your website are NOT indexed. Let’s say you own a Shopify eCommerce site with a relatively low number of products and collection pages. Now imagine yourself as the search engine trying to figure out what your page is all about. Not only does the search engine see all your products, collections, and blog posts if you have any, but it also sees all the not so relevant pages such as policy pages, contact pages, etc. If that’s the case, there’s a good chance the search engine has no idea what your overall page is about and has no real idea of where you belong in the pecking order of searches on any one topic. Fortunately, identifying and fixing this issue is really easy! The most obvious place to start is to make sure your site is handling canonical URLs correctly. Using the “Site:” modifier search, look for pages that are exactly the same but with different URLs. One: change themes as quickly as possible. Seriously, canonical links are an absolute must on an eCommerce site and any theme for eCommerce that does not handle them well is a theme you are better off without. We recommend the Shoptimized theme. We use it on all our Shopify eCommerce sites and we love it! Two: add the canonical links code yourself (or hire a developer). The code to gracefully handle canonical links is not difficult to implement if you are familiar with coding. If you are not able to do your own coding, you can hire a developer to add canonical link handling in your current theme. Now you need to identify other “deadweight pages” (pages with zero SEO relevance) that have been indexed and figure out how to remove them from Google’s index. I know, looking at that list some of you might be thinking “that’s a bit aggressive”, but it’s not! I want search engines to know exactly what my site is about, any page that detracts from that main topic/topics is a distraction for search engines. For help on HOW to no-index certain pages on your Shopify eCommerce site, visit this page for a great example. Be sure to no-index your “Search Template” pages while you are in there. The link above will show you how to handle that properly. That’s it for step 2! Go identify any page on your site that is being indexed and adds no value or relevance to the main topic of your site and no-index it. In the previous two steps, you may have noticed a few pages on your Shopify eCommerce site that were NOT indexed. For one reason or another, those pages may be in the dreaded Rick Zone. If this is the case, there are a few tricks to finding out why they are not indexed and correcting the issues. One: Sign into your Search Console account and check to see if there are any Manual Actions being taken against your site. Manual Actions can be found under the “Search Traffic” menu. If any manual actions are identified, take the time to fix them. Once you are sure the problem has been corrected, you can “Request A Review” to have the manual action reversed. 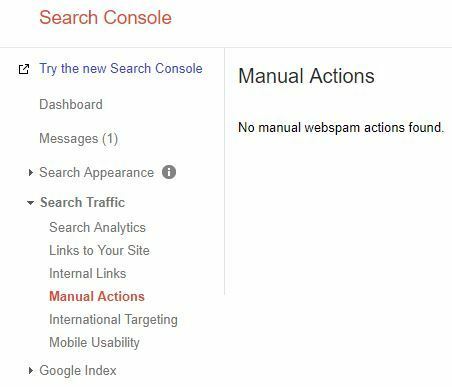 Manual actions can massively affect your SEO rankings in a negative way and you should periodically check search console to ensure you are not being penalized. Manual actions can happen for a variety of reasons from copyright/plagiarism issues to spammy incoming links, and unnatural link building tactics. Finding them early and fixing the issues can save you a lot of headaches in the long haul. Two: A much more common issue for pages not being indexed is because they are considered duplicate content by search engines. Search engines such as Google have enough heavy lifting to do without indexing a thousand pieces of the exact same content from different domains. If you’ve looked into SEO for a bit, you may have heard of “duplicate content penalties”. In reality, it's not a penalty at all. Google is just really good about NOT indexing duplicate content. If they see two identical pieces of content, the search engine will simply ignore the piece that was published last. If you have a page not being indexed and you can’t find any other reason for it NOT to be indexed, try running the content of your page through CopyScape. If your page does not pass Copyscape, there’s a fair chance you are not being indexed because the search engine has identified your page as duplicate content. Your Shopify blog is a massive resource if you plan to drive organic traffic to your store. There are however some basic steps that should be taken to ensure your blog articles have the best possible chance of ranking in search engines. 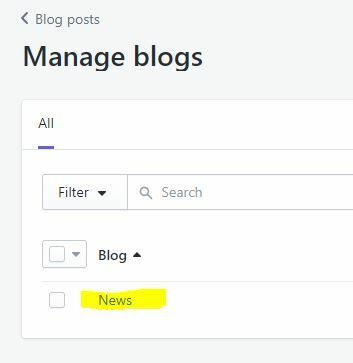 The default blog on the Shopify eCommerce platform is named “news”. Unfortunately, unless you are selling for a major news outlet, “news” is a horrible name for a blog. Luckily, that’s something very simple to fix! 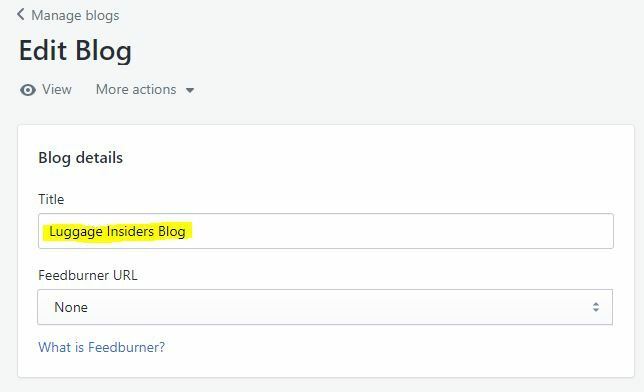 Once you’ve created your first blog post, you can “Manage Blogs” from your Shopify “Blog Posts” menu. Now click on the word “News” and you can edit the name of your blog to whatever you wish. Be creative and try using a keyword that is relevant to your overall topic or niche. On our demo site (Online Luggage Deals), we decided to go with “Luggage Insiders Blog”. There’s a fair chance, anything we write about will center around the luggage industry so the name fits. Your blog is already more optimized for better rankings. But there’s more we can do to help your blog stand out to search engines. While creating your blog posts, be sure to use the “Tags” section to classify the post. You can think of tags as a way to categorize your posts into larger topics of conversation. If I were planning to write several blog posts on product reviews or product A vs B type posts, I might want a “Tag” or category for “Luggage Reviews”. Using tags can help search engines more easily identify what your content is about. Any advantage you can get in this area is a good thing! In the fast-paced information age of today, you can’t afford to miss an opportunity to get eyes on your content. Social sharing icons make it very easy for someone to share your content to other networks and get more people looking at your blog. Unfortunately, the Shopify blog does not come standard with any sharing features so it’s up to you to add them. This can be done manually or by using apps from the Shopify App store such as Social Sharing Buttons which makes adding share icons to your blog and/or other content pages as easy as a few clicks. Whichever route you choose to embark on, be sure you add them. More eyes and social shares equals more traffic and a more positive signal to search engines that your content is valuable and worth ranking! First, let me just say that schema markup on its own does not directly affect SEO rankings. Which kind of begs the question “why is it on this list”. Don’t worry, there’s a good reason! While schema markup doesn’t affect rankings directly, it does help search engines understand your content better, displays your search results more attractively, and helps increase click-through rate significantly and those things ARE ranking factors that will affect SEO rankings. For that reason, I believe schema markup MUST be on this list. On an eCommerce site, you need to pay attention to a few key markup properties. Each of these schema markup properties has the ability to improve the looks of your ranked listings and improve click-through rate and ultimately ranking position of your eCommerce site pages. To see what schema markup properties are being created by your eCommerce site and to check for errors, you can use the Structured Data Testing Tool by Google. Simply copy/paste a URL into the testing tool for your home page, a product page, and a blog post and you should be able to see each of the previously listed markup properties. If your test reveals missing properties or errors from your current theme, I encourage you to take action and get your markup complete and error free. Pay special attention when testing your product pages to use a product that has a few reviews on it. Make sure your review rating and aggregate review properties are showing up. If you are not using a review app on your site yet, don’t worry, we’ll get to that soon! Just be sure to come back to this step and test your product pages again once you do have reviews. Mobile first has been the battle cry of search engines and SEO’s for the past five years and it’s not going away folks. More and more each year people migrate to doing more online activities on the fly using mobile devices. If your eCommerce site is not mobile friendly, you ARE losing business right this minute. But it’s not all doom and gloom. Most Shopify themes are mobile friendly out of the box. Those that are not are quite frankly not worth playing with. 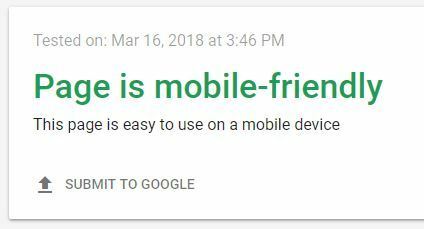 If you haven’t already, be sure to check how well your theme does on mobile by using Google’s Mobile-Friendly Testing Tool. It’s important to note that while this test does a pretty good job of determining if your site is mobile friendly or not, I would caution you to always do some manual spot checking in addition to this test. Use your own mobile device to browse around your site. Have a look at your product pages, blog articles, ect. Manually checking your pages on a mobile device is a great way to identify problems before they cost you sales or leads. Mobile is now king when it comes to search engine traffic. That means, your site had better be fast and furious (well at least fast). 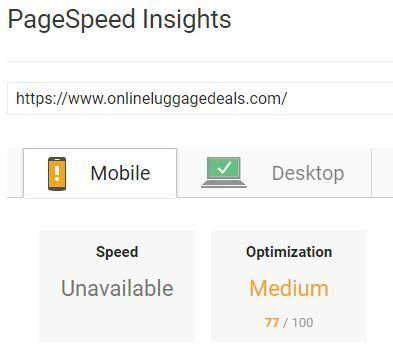 Use Google’s PageSpeed Insights tool to make sure your page loads quickly on mobile as well as desktop. A slow site is a dead site. It’s important to test a few different pages such as home page, product pages, collection pages, and blog posts to ensure all your page types are loading as quickly as possible. You will be given a score for Mobile and Desktop as well as some optimization suggestions. It’s a good idea to take action on any suggestions in the list if you are able and try to get your score to at least a 70 on mobile and an 80 on desktop. Faster is better so do the absolute best you can. Are you using Htags on your Shopify pages? Have you ever used H1 or H2 tags just to make a page or heading look good? Don’t feel bad, I’m guilty of this too! For years I used Htags or “Heading Tags” just to make text look good on my pages. I never paid much attention to the number behind the “H”. Some of my pages would have five or even six H1 tags. Unbeknownst to me, this was actually working against me and holding my pages back from ranking well in search engines. Search Engine Optimization has a lot of little areas where attention to detail can make the difference between a page ranking well and a page never showing up in the top 100 results. Htags are one of these areas where a little attention to detail goes a long way. These tags are intended to help structure a page so that people and more importantly web crawlers can determine what your page is about and how it’s laid out. 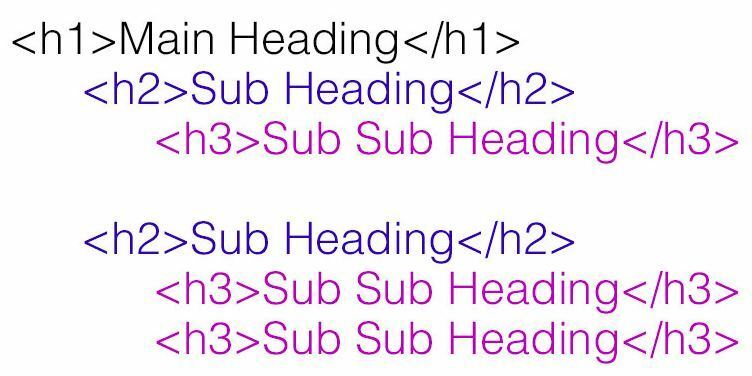 H1 tags are intended to be used for the main title or heading, H2 tags for sub-headings, and H3 tags for sub-sub-headings. A page should NEVER have more than one H1 tag. 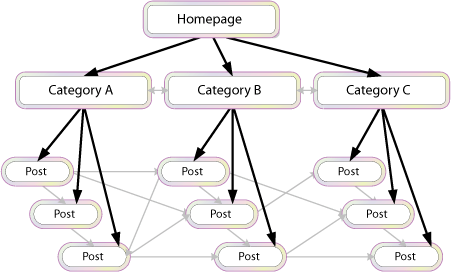 Structuring your pages with proper Htags will help search engines quickly learn what your page is about. The more search engines understand your data, the better chance you have to rank! If you’re having an “Ah Ha” moment right now, don’t feel bad. I made this simple mistake on my first dozen websites. But now that you know the correct way, take a few minutes and be sure you are using proper Htag formatting on your site. Just like schema markup, meta descriptions are not a direct ranking factor. One: They give users an understanding of what your ranked pages are about. The meta description is what shows up under your URL in search results. As you can see in the image above, this is a great place to tell the user what the page is about and include a call to action. Two: They give you an opportunity to take up a larger portion of the SERP listing making your listing more prominent. As of this year (2018), Google now allows 320 character meta descriptions replacing their earlier max limit of 120 characters. This means you have double the text to take up valuable SERP real estate and pull a buyer in with targeted messaging. Remember, meta descriptions are your chance to inform as well as to call a user to action. The best meta descriptions will do two things. Portray a very clear message telling the user if they visit this page, here is what you will find. Direct a user to take an action. As you can tell, the meta description above is a horrible example and will not perform well. Damn Dog Canvas Bags. The toughest, take anywhere, ready for anything bags on the market today. When you buy a Damn Dog Bag, you are buying quality that will last for generations. Order online today and get fast free shipping. As you can see, the new meta description satisfies both criteria. We’ve explained what the page is all about in no uncertain terms, and we’ve made a clear compelling call to action. Take a look at your pages, products, collections, and blog posts and make sure your meta descriptions meet the two criteria. Imagine I just told you about the best damn canvas bag on the planet. I explained all the features, how tough it was, and even told you how much it costs. I’ve done such a good job of explaining this bag to you that you just want me to shut up and take your money. Chances are since you’re a human, you’re going to Google it. Because even though you are almost convinced to buy it on the spot, you want to see what it looks like. Luckily, Google has a very robust image search built right in! But it only works if we tell Google what our images are. That’s where image Alt tags come in. Using descriptive, keyword rich alt tags on your site and product images can help search engines understand what your images are as well as get them ranked in Google image search. 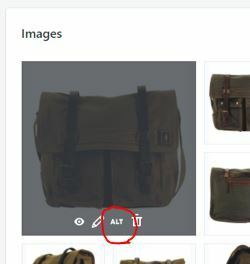 In Shopify, you can set your products image alt tags very easily. Try to use keyword rich alt tags and explain the image as if telling a blind person what the image is. Damn Dog durable brown canvas shoulder bag front view. The more descriptive the better. Setting your image alt tags will tell the search engine what your images are and give you a much better chance of showing up in image search results. 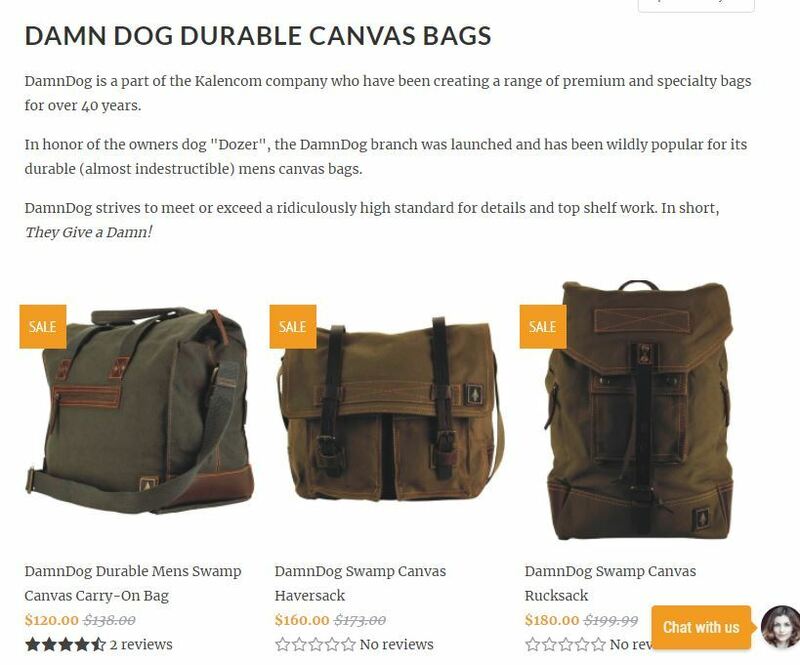 Since I’ve now done my job, you can search for the Damn Dog canvas bag and see what it looks like. Now all I have to do is shut up and take your money! Look through your pages, posts, products, and collection pages. Make sure you have image alt text set on your images so search engines can find them. The more search engines understand what your page is about, the more likely you are to rank well for your target keywords. But the words on the page often only give part of the puzzle. And if search engines don’t trust you yet, they may be skeptical. You can help search engines understand and trust your site by using links to relevant resources. Using internal and external linking to already trusted resources will help search engines understand what topic you are trying to rank for. Internal links also have the added bonus of adding to the structure of your site and search engines can more easily see relationships between related pages and build relevance to a single topic. This is a great example of Siloing (a term used to describe a well-structured site). This method works just as well with product and collection pages as it does with blog posts. I always try to include at least 1 external and 2 internal links per page. The longer my content is the more links I will include but one external and two internal is a good baseline to shoot for. Take a few minutes and audit your own collection, product, and article pages. Are you taking advantage of opportunities to link out to relevant content on your own site and other trusted resources from external sites? If not, now’s the time to fix it! Do you know what search engines like as much as great content? If you guessed fresh, updated content you’d be right! But who has time to update their eCommerce pages all the time? I know I sure don’t. With a catalog of over 1000 products, this would be a nightmare for me. Using a review app for your eCommerce products is a great way to let your customers generate content for you! 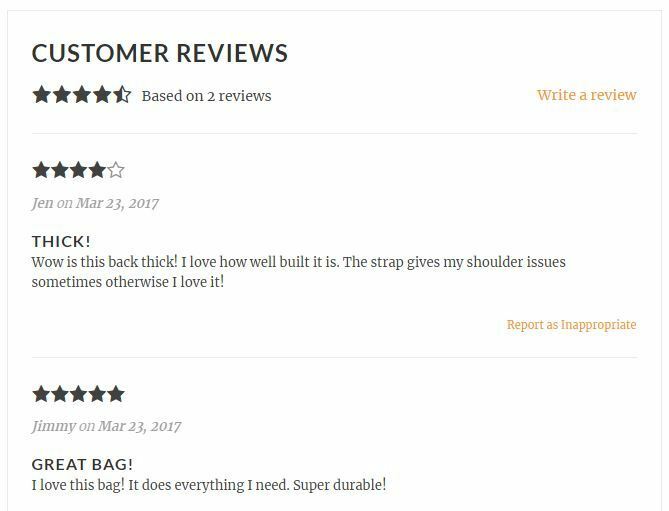 User generated reviews are also great for social proof and will help your product pages convert better. Having reviews can help customers make a purchasing decision sooner and they have the added benefit of consistently growing your SEO power on each page by adding more content. If you are worried about bad reviews, don’t be. A few less than perfect reviews is realistic and makes your pages that much more believable. People understand some of us just can’t be pleased. You can also delete or hide the really terrible reviews. If you are not already using a review app and being active in asking for reviews, the best time to start is right now. Take your reviews to the next level! Question and Answer apps can be found in the Shopify App Store. We recommend Product Questions and Answers by Simprosys InfoMedia. These type of apps help generate content for your product pages by allowing customers to post questions and your staff to give answers directly on your product pages. Remember, as we discussed in step 12, search engines LOVE fresh updated content. Q&A apps can keep your pages fresh and relevant all year long. Not only will user generated content boost your SEO efforts, it will also help future customers get answers to questions you had not considered. 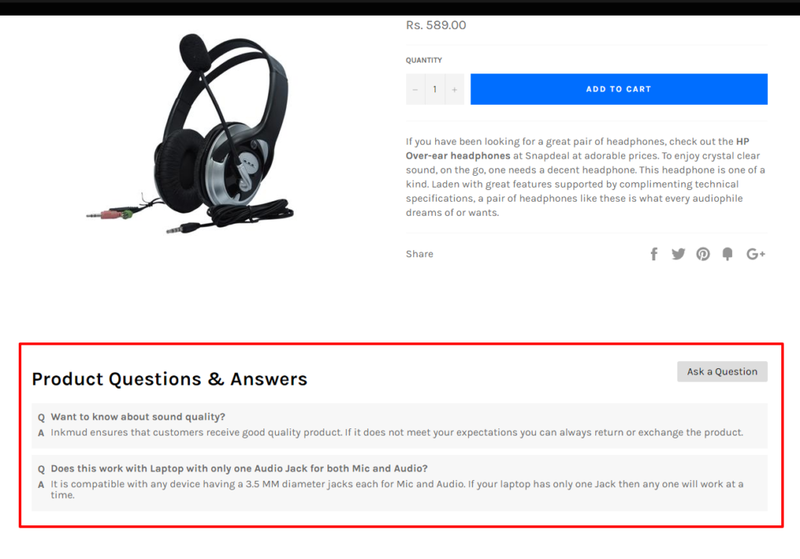 If you are not already using a Q&A feature on your product pages, give this app a try and let us know what you think! Collection pages are often ignored and used only for organizing your eCommerce site into easily navigable sections. If used properly, collection pages can be a huge SEO resource. Just think of all the customers searching for “Nike Shoes”. Sure they know what brand they want but they might have no idea exactly which Nike shoes they are after. If you sell for the brand Nike, you probably have a collection for that brand. Chances are, you have a collection page with all the Nike Shoes listed out and that’s it. But imagine if you had some content there as well. Something that could help search engines know what that page was about and possibly even rank that collection page for the brand name. That’s why we always recommend you have at least 150-300 words of content on your collection pages to describe the collection. Adding content to your collection pages will give them a much better chance of ranking in the search engines. Collection pages are a great resource for eCommerce SEO. If you add some content to the collection page, in combination with all the product titles displayed on the collection page, these pages tend to rank quite well. If you do nothing else in this checklist, spend some time on your collection pages. The power of a well-ranking collection page might surprise you. SEO has always been a topic surrounded by a lot of mysticism and confusion. SEO for eCommerce adds a whole other layer of misinformation and confusing tactics to tackle. With hundreds of articles being posted on the topic each day ranging from black hat SEO tricks to new-fangled tactics and questions about SEO being dead this year, we thought we’d break through the fog and go right to the experts for the answers. What is your top Do & Don’t for eCommerce SEO on the Shopify Platform? The insights we received were outstanding and really help draw a clear line between the good and bad in eCommerce SEO today. 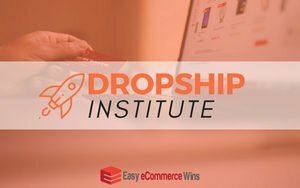 Cory is the director of business operations at Dropship Lifestyle and Performance Marketer. With more than 15 years in the business, Cory has plenty of experience to share. Do: From our experience, the top way to optimize your site for organic traffic that will convert is to prioritize creating unique content for your product pages. Specifically, focus on product identifiers like SKU’s, brand names, and colors in your headers. For example, JOURNEY Paddleboard | Color: Berry | Length: 10’6” | SKU 14412 is better than Blue Standup Paddleboard. Don’t: The biggest thing to avoid is removing product pages for seasonal or out of stock items (unless absolutely necessary). These pages can take a lot of time and work to get ranked, so you want to make the most out of these pages. Instead, try turning that page into a promotion for an instock / inseason product, turn it into a email opt-in page, or, as a last resort, 301 redirect it to a product that is instock. platform had limited SEO functionality have long gone. create custom page titles, descriptions, add alt tags. advantage. To put it short, do not breed the duplicate content. custom fields to add additional information to category pages. Bill Widmer is a content marketing and SEO expert who develops world-class content that ranks. He has appeared on top publications including Social Media Examiner, Content Marketing Institute, and the EOfire Podcast. Do: Write unique, high-quality product descriptions for every product on your site. Dan Kern has the unique mix of analytical and technical skills blended with creativity that mark a successful SEO these days. His expertise goes beyond “just” SEO in all its facets. Dan is also a solid marketing strategist with direct experience in most online marketing channels. Do: Focus on building links to your site as soon as your site and content are ready to rank. There’s plenty of link building advice online to give you ideas. Don’t get overwhelmed. Just pick a few tactics that you think you can be most successful with and start emailing and calling. Yes, pick up the phone as needed to get important links. Without links, it will be harder to rank well in search engines. Don’t: Just use manufacturer descriptions on your product pages. Rewrite them, and make them more detailed and insightful than your competitors. Since you have a brand new Shopify site, you have no authority yet with Google. Your content can be an advantage to help you rank if it’s better than competitors. For the past 20 years, Danny has trained a wide range of different organisations from one-person businesses to global corporations with thousands of employees. He provides practical, relevant training perfectly tailored to your organisation. Do: Apart from the obvious “do” of having a strategy for gaining high-quality, relevant links to your site; I would focus on creating rich category and product pages that satisfy your visitors. Plenty of helpful information, customer reviews and a clear understanding of why they should buy this product from you and not your competitors. Treat every page as if it is the first page your visitor will see. Don’t: As you have no control over the robots.txt file when using Shopify, you will need to be very careful about making sure that you are only exposing pages to Google that you want them to crawl. For example, avoid product pages where the only difference is the color of the product. We see this with clients all the time. We ask them, “What keywords would you like people to type in to find you?” and their response is too specific, uses branded terms, or uses jargon that only an informed person/employee would use to refer to products. This goes hand-in-hand with the knowledge that the keyword research produces. Ensuring that pages have targeted page titles will allow for proper indexing and easy reading for people searching. Sites should have information about product types that can be A) crawled by search engines and B) read by humans. If a person has questions about product benefits, they should be answered on the website. Forcing someone to leave the site to find out information is a massive flaw. Phil really competitive…the classic ‘overachiever’. It’s just the way he’s wired. He wants to dominate online and he wants his clients to dominate as well. Do: We are seeing huge wins for ecommerce sites that treat their category pages as mini-home pages – instead of just category product feeds that most eCommerce systems provide out of the box. That means creating 300-500+ words of intro content per main category page, adding video, feeding in category specific blog posts, adding category specific testimonials and more. Bonus tip: download and read Google’s “Search Quality Evaluator Guidelines”…just google it, download it, read it, and apply what your learn. It’s the best kept secret in all of SEO. Don’t: Don’t neglect content and authority building. Yes, you are an eCommerce business, but your website has to become a holistic marketing platform to win, and than means investing in content and the SEO long game. Steven Kang is the founder of a popular SEO Facebook group called SEO Signals lab. But that’s just a start! Steven is one of the most analytical SEO guys around and really takes time to test test test. This means his methods just work. No guessing, just implementing. Do: Google treats a brand new site differently than an established site. To train Google’s algorithm, I recommend adding quality blog content with contextual links to the right product page and make sure the page gets indexed as Google loves content. Don’t: Don’t just send a large amount of links to the product page in hopes of ranking them high. It can backfire for a brand new site. Matt Press is the founder, owner and Director of Splash Copywriters. He’s an academically trained UK copywriter who worked for Sky for 11 years. After working as a copywriter for a high-profile brand like Sky for such a long time, Matt built up an in-depth knowledge of what it takes to create effective marketing content. Do: Create valuable content, which is something that’s often overlooked in e-commerce. Don’t: House more pages on your site than is absolutely necessary, since this will weigh down your site. As necessary as it sounds, this is where most of the e-commerce stores get it wrong. The moment they have the store up, the first thing they start running behind is – getting the orders. They begin with social media or paid ads. There is nothing wrong with it. We all are in business to make money. The best alternative is to be found in Google organically. The first step to this journey is – have a solid foundation. 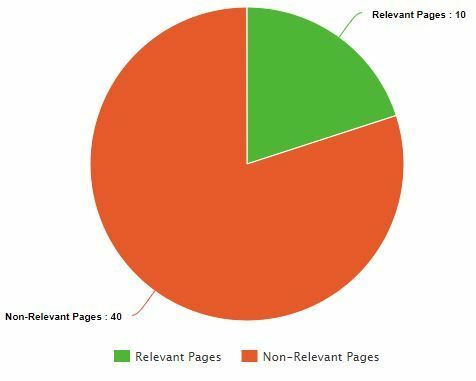 It is what On-page and Technical SEO help with. Don’t: The one SEO tactic that e-commerce owner should strictly avoid is – Content Duplication. Don’t use the content that comes from the product manufacturer. The content on your product pages should be descriptive enough for your potential customer and SEO friendly at the same time. It is something they should focus from the day one, so things don’t go beyond your control. Because if they don’t, it can dilute the link equity of multiple pages on the site and can hurt real bad. John Morabito is the Director of SEO at Flying Point Digital / Women’s Marketing. 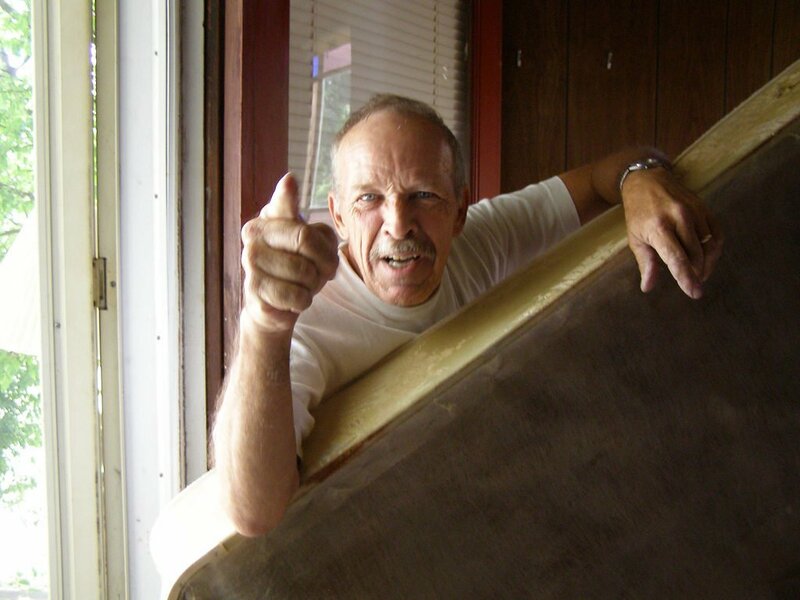 Do: Start with laying a foundation through keyword research. Try to deeply understand the way that searchers look for your products, then create meaningful collection pages that answer that intent. Of course, make sure you’re optimizing these collections with the keywords your shoppers actually use. For example, it’s not “boy” it’s “Boys Clothing”, it’s “Women’s Beaded Dresses” not “Beaded”. Bonus tip: If you don’t want to have a large number of collections in your main navigation, you can always create an HTML sitemap and link to collections there. In general, HTML sitemaps of collections are a good idea. Don’t: Use collection paths in your product internal link URLs. Many times themes configured to point to product URLs using the collection path. This is problematic because in virtually every case, the canonical URL does not include the collection path. Linking directly to your canonical URLs is not only ‘recommended’, it’s an easy way to help improve crawler efficiency, rankings and the distribution of page rank throughout your site. Do: Launch with optimized page titles and meta descriptions. Writing optimized page titles and meta descriptions are low effort, but high value when it comes to launching a new ecommerce site, especially with how easy Shopify makes it easy to optimize your on-page SEO. Make sure you look across the site and do keyword research for your optimizations! Don’t: Do not skip out on HTTPS. Shopify makes it super easy to implement an SSL in your site, which makes it HTTPS rather than HTTP. For ecommerce, a secure site is a trust signal that users rely on especially if they’re giving you payment information! Google will not come out and state it, but rumor has it that it is, in fact, a ranking signal! Learn from Google here. Bonus Don’t: Do not forget to test the usability of your new site. The user experience of your site is just as important as the SEO, so don’t forget to test the mobile-friendliness and site speed to ensure both are working. Don’t be the only one to test it… get other people you trust to take a peek at it and give you input because it’s possible you’re overlooking something small after building the site and staring at it for so long . Michiel is a partner and COO at Yoast SEO. He works as a senior SEO consultant for both customers and colleagues. Do: Optimize category pages for content as there are focused on a single subject and use JSON-LD/schema.org markup for product pages so Google can immediately crawl information on a page and use it the best way possible. 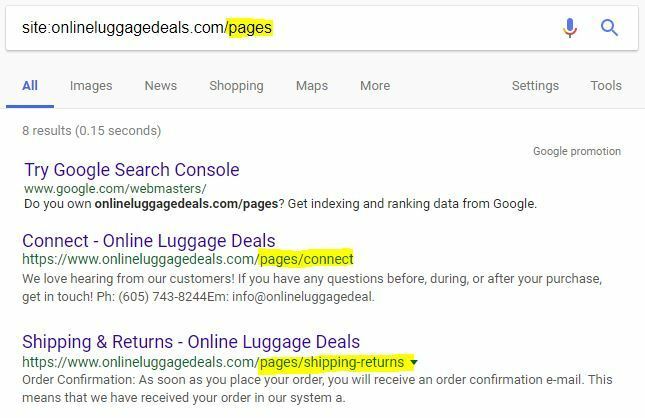 Don’t: Use manufacturer descriptions for product pages, as this will make the larger part of your website duplicate content. Grab Your Cheat Sheet and Get to Work! So there you have it, some great advice from some great industry leaders in eCommerce SEO. grab your downloadable cheat sheet and finish this audit on your own site. Then try out some of the tips in this article and let us know how it goes. And don’t forget to comment below if you have other tips to share that we may have missed!